It's not destroying. It's making something new. 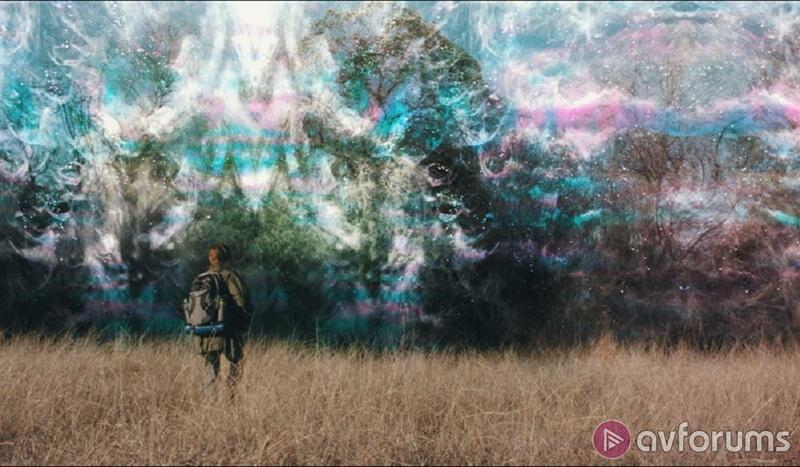 Alex Garland’s Annihilation, based on the novel of the same name by Jeff VanderMeer, is a weird and wonderful exploration of alien takeover told with wild visuals and a self-appointed style. The story is told through Lena (Natalie Portman) a biologist whose marine husband, Kane, is the only person to return from The Shimmer, a quarantined area that is growing from a meteor strike, with all attempts to investigate it ending in failure. When Kane suddenly takes a turn for the worst, Lena volunteers, along with four other women, to enter the area to try and discover the secrets. Upon entering, things are not what they seem, a place where biology is devolving and combining, the team rapidly become embroiled in the mystery and discover that man’s propensity for self-destruction is fuelling the change as The Shimmer is simply doing what it does: refracting everything creating hybrids by scrambling and recombining DNA. 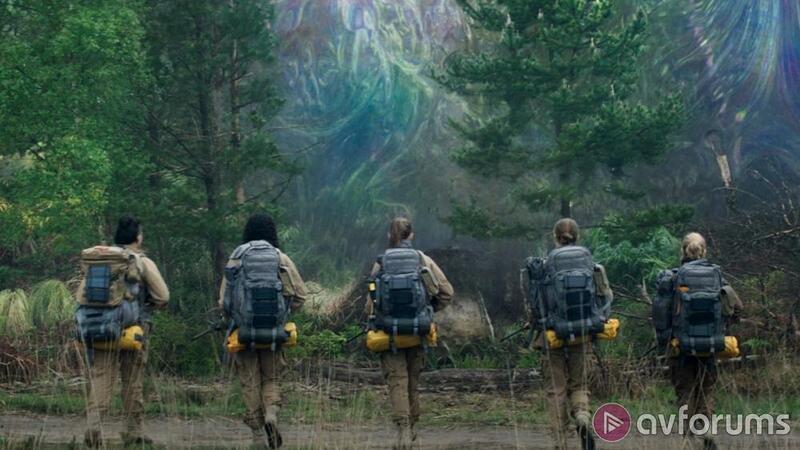 Released at a time when Hollywood were demanding more diversity and stronger roles for women, Annihilation quietly and without fanfare came on the scene and did just that – and what happened? It went by pretty much unnoticed. Perhaps because of the ‘highbrow’ horror aspect of the story, perhaps because of the Netflix association or maybe it was because there was no push for its limited theatrical run; but whatever the reason it should be lauded for what it achieved. There is no denying the visual impact the film has, Rob Hardy’s cinematography and long with the design aspects and GC enhancement gives the film a wonderful look. At once eerie and ordinary. The plot of mutating DNA is delivered without spoon feeding, the climax, itself, is intelligent and its premise is far reaching. It is that rare beast, a film that requires thought and stays with you afterwards. And whilst that is its genius, it is also its curse, because for some, its lofty ideas are lost – it’s not a ‘superhero movie’ and does not play to the lowest common denominator. Luckily, it has found its audience and, with luck, sends a signal to the producers that the cinema going experience does not have to be limited to easy watching, sometimes a little thought goes a long way. Annihilation was shot digitally using a combination of Sony CineAlta PMW-F55, Sony CineAlta F65, Red Weapon Dragon and Panavision DXL cameras with a resolutions of 6 to 8K and was finished as a 4K DI which has used for this Ultra HD Blu-ray release. The disc presents a native 3840 x 2160p resolution image in the widescreen 2.39:1 aspect ratio, and uses 10-bit video depth, a Wide Colour Gamut (WCG), High Dynamic Range, and is encoded using the HEVC (H.265) codec with both HDR10 and Dolby Vision compatibility. 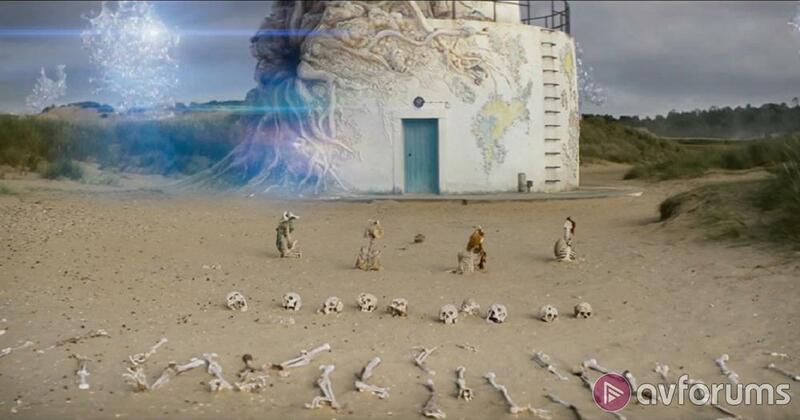 We reviewed the Region free UK Ultra HD Blu-ray release of Annihilation on a Panasonic 65DX902B Ultra HD 4K TV with a Panasonic DMP-UB400 Ultra HD Blu-ray player. The detail on show is terrific, from skin texture to clothing weaves, from laboratory equipment to grass blades, from close up to establishing shot: there are nice keen edges throughout, that is when they are not hampered by stylistic filming choices, for there are the occasional soft focus elements. Colouring in the first act of the film is somewhat muted and dour, that is due to the palette chosen, for the colours themselves are rich and well formed. Once The Shimmer comes into view things really open up, check out how lush the greens are, how the flowers pop out of the screen, the depth of the blues and reds. The iridescent quality of The Shimmer itself or those affected within is glorious. The black level is very strong, in places making the scene extremely dark, this was true of the Netflix presentation as well. The shadow detail is sometimes visible, sometimes impenetrable depending on the need. There is a good sense of depth to the frame from all of this. The white end of the scale is clean and bright, lights pierce the gloom, check out the stand lights in the interrogation, or the torches as they cut the darkness. And how bright are the highlights at the Lighthouse? Again stylistic choices come into play regarding lens flares and highlights, occasionally dimming what you might perceive to be retina burning whites, again faithful to the Netflix presentation. Obviously, the source is pristine, and equally there are no compression issues either. So how does it measure up to the Netflix presentation? I actually prefer it, the edges seem just the wee bit sharper, the colours slightly richer while the black level reveals slightly more in the dark; but, honestly, you really have to squint to see it and without doing a back to back comparison, you’d never know. The English Dolby Atmos surround track is terrific, making full use of the extra layer in the soundscape, even if it’s subtle or discreet effects (such as the buzzing of overhead fluorescent lighting, or the chirp of creatures in The Shimmer). Indeed, the surrounds are used to great effect, placing an emphasis on ambience throughout, so there is a cohesion to the surround environment. When the action heats up, such as gun battles, or creatures attacking, there are aggressive effects that punctuate the field, perpetrated by bass stings. Bass, itself, is deep, strong and used to fill out the bottom end to good effect. SF effects are numerous and add significantly to the general ambience and the score. Dialogue is clean and clear, given the occasional bout of directionality and sounds perfectly natural. While the score makes full use of the surround scape. The wild climax is well separated, while the whole thing produces a wonderful sense of eeriness. Top job. All the accompanying extras are found on the included Blu-ray, and take the form of six featurettes divided up under three separate headings; each exploring an aspect of the production. Southern Research – Refractions: an 11 minute feature that looks at the screen writing process, its challenges, themes, style, CGI and locations. For Those That Follow: 15 minutes examining the actors, their respective characters and what they bring to the film. Area X – Shimmer: A 12 minute look at filming in sequence (highly unusual), set design, practical and digital environments and filming. Vanished Into Havoc: 15 minute feature taking a closer look at the practical and digital effects that are predominant in the film. To the Lighthouse - Unfathomable Mind: 11 minutes taking a look at the science behind the piece before delving into the creating the style and look both outside and within The Shimmer. And finally, The Last Phase: spends 8 minutes with director Alex Garland and what he brought to the filming process. 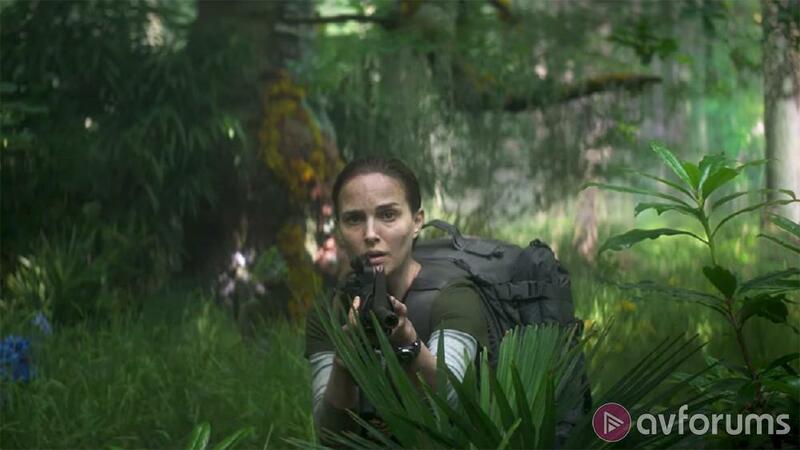 The wild and wonderful Annihilation told by Alex Garland, in his sophomore effort, quietly and without fanfare allowed an all-female cast to shine by delivering an intelligent, thought provoking science fiction horror, telling the story of grief, depression, man’s propensity for self-destruction wrapped up in an alien invasion story. It is also glorious to look at while giving the audience something to think about, not only while the film is playing, but long afterwards. As a 4K UHD, the set from Paramount is great, the native 4K picture is awash with detail and colour, with a strong black level and gorgeous highlights, while the Dolby Atmos surround track is all encompassing making use of 3D space to really engross the viewer. The extras are the only weak point, being rather limited. Write your Annihilation UHD Blu-ray review.